I am not really familiar on Gift Certificates and always choose to buy gifts instead of giving GC's to family and friends. So when husband gives me a Sodexo Premium Pass, I immediately googled for accredited merchant stores and found out over 5,500 list of merchants that accepts it. 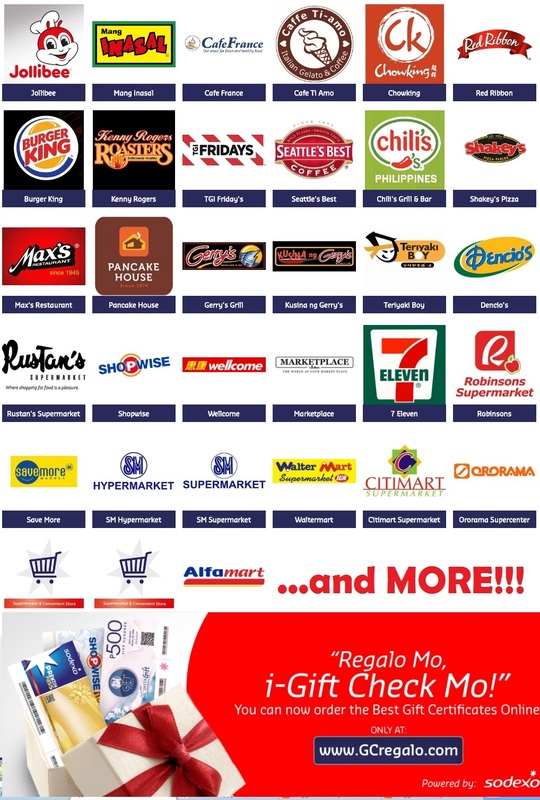 Click here to see the Premium Pass Merchant list to know where to use your Sodexo GC. Enjoy! where can you use the sodexo premium pass? Hi Scarlet! Thanks for letting me know, it seems that the page has been changed. Anyway, I already fix and redirected the link.